Garth Ennis returns to Marvel! Fighter planes and dinosaurs collide in this raucous tale featuring the classic Marvel character Phantom Eagle! Ace pilot Karl Kauffman investigates the Valley of Flames, but soon finds himself in way over his head. 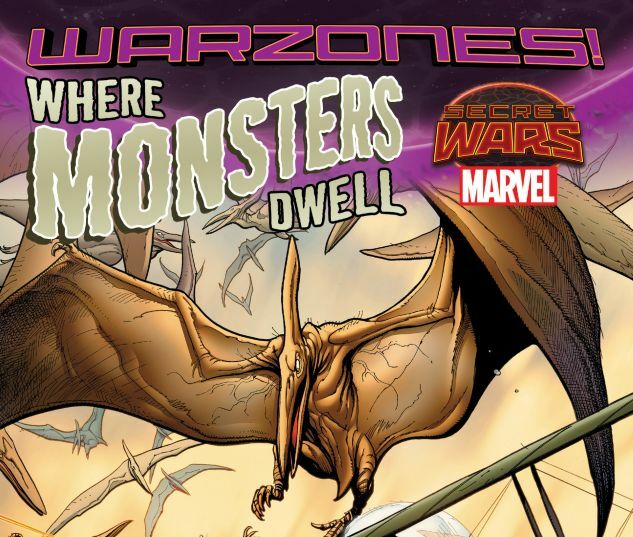 This terrifying Battleworld domain is full of surprises, and Karl is only just scratching the surface. Between hungry dinosaurs, angry Amazonians and even crazier problems, Karl has never been in a tighter spot. The beautiful tribe of warriors who have taken him prisoner aren't very friendly at all, and these dinosaurs don't look domesticated. Karl aims to take to the skies once again, but can he beat the odds — and all the new enemies he's managed to make? 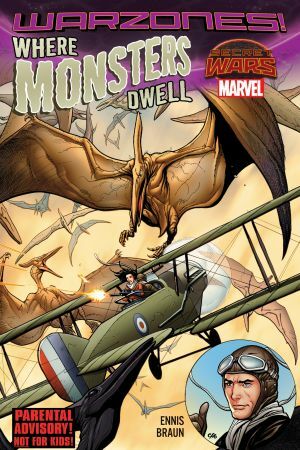 Collects Where Monsters Dwell #1-5.